This book got off to a good start by providing the spark for a post I wrote about a month ago, so for that reason alone, it was worth the price (well, maybe not to you, but to me it was only about 3 bucks at Half.com). Clearly, I jumped the gun on our discussion with that post, but since it was simply an observation based on an offhand comment in the preface to the book, I trust everyone will treat it as a teaser. I’m not going to analyze the book from a literary point of view. I think I was put off of formal book reports in Catholic school, when they gave us books like Melville’s’ Billy Budd, and told us to write what felt like a college level dissertation on the themes of the book, without telling us what those themes were. So, here, I’m going to simply note a few things that struck me while reading the book, and defer to all of you more literary minded literati. As an atheist, I can see how the subject of the life and short reign of Julian the Apostate might be attractive to Gore Vidal as a basis for a novel, especially since it was written between 1959 and 1964, and published in the latter year. I presume Vidal was an atheist at that time, and a novel about the last “pagan” Roman Emperor would work as a nice vehicle for surreptitiously placing his personal ideas about religion and atheism before the public, without having to write a broadside against religion that he would certainly have trouble publishing at a time when we were at war (albeit cold) against atheistic communism. Society would not have been very accepting of such a book, especially from a major author. No publisher would have published it. So he puts his atheism in the mouth of an actual historical figure in the context of an historical novel, one that has a solid basis in fact, knowing the publishers will, more likely, have no problem with it since it’s “fiction”. Brilliant, Mr. Vidal! I was particularly taken with the idea that Julian, as a proponent of Neo-Platonism, or the Hellenistic religion, considers Christians as atheists. What a role reversal for Christianity! I think this speaks volumes for the idea that the religion in power gets to dictate the definitions. It is predominantly Christian historians who gave Julian the appellation, Apostate. Dawkins says that everybody is an atheist with regard to every other religion than their own. This underscores that observation well. As far as Julian was concerned, his religion was the one true religion, and it was the Galileans who were the atheists, because they didn’t believe in the Homeric gods. Pot-Kettle-Black. I thought Vidal did a fine job of evoking a bygone day when Christianity was not the dominant religion, even though its star was on the ascendant. Can you imagine a society today where two mutually powerful religions both hold sway in a homogeneous manner, among the same population, that is, where the same type of people, culturally and ethnically, are divided by their religion? Two civilizations, Greco-Roman and Christian, pass each other in the night of history. Julian attempted to bolster the former, while at the same time, putting the brakes to the latter. Too bad he failed. Or maybe not. I kept getting a feeling of incongruity, when Julian was criticizing the Galileans for their odd religion, with their three-in-one god, and their infighting over scriptural interpretation (which has never really changed to this day) while at the same time practicing such weird forms of worship that today can only be termed bizarre: exacting sacrifices of bulls and other animals, with intense scrutiny of the liver and other entrails for signs of portent; long, drawn out rituals during the “mysteries”; consultation with oracles (know known as fortune tellers) to read the future, then basing their actions on the predictions. At the same time Priscus criticizes the only “scientist” of the group, Oribasius, the doctor, who, while apparently sincere in his medicine, is hamstrung by the dearth of knowledge of the times. I suspect Oribasius disliked religion, much the way I do. But where I prefer the mind of man to any sort of magic, Oribasius preferred the body. What he could not see and touch did not interest him. He was an unusual friend for a prince. His only passion was medicine, which I have always regarded as a branch of magic, though his approach to it was blessedly matter-of-fact. Have you noticed that whenever a physician prescribes such-and-such a treatment, and one follows it and is cured, he is always slightly surprised? Everything a doctor does is guess-work. That is why he must be as good at acting as any Sophist; his cures depend entirely upon a convincing show of authority. So what chance had science in the 4th century? Science has been embattled by religion from its inception (both science’s and religion’s). Today, science is still under attack from close-minded individuals wrapped up in superstition. In Julian’s day, science had to compete with religion, while Hellenism and budding Christianity were at each other’s throats, vying for the hearts, minds and balls of the populace. Again, what chance did science have to rear it’s head into this quagmire of belief? On the one hand, the Christians were preaching salvation in another life, based on the nonsensical belief that the One True God sent his son (sun?) down to earth to die for something called sin, so why worry about this life? On the other hand, the pagans preached that all good and bad came from the gods, and as long as you could figure out which one was responsible for your problem, and then could afford a nice healthy, white bull (hard to come by under any circumstance) perhaps, if that god was in the right mood, was listening, and had his/her fair share of divine nookie that day, he/she might deign to help. It was all so uncertain, you would think that a good scientist who could provide a stable amount of certainty would be more desirable than those fickle gods. Unfortunately, science was a non-starter. Too much stifling competition from religion. Fortunately for us, science has been able to progress to the point where religion is now superfluous. We don’t need oracles to predict the weather, or shamans to placate the misfortunes of illness and disease. We don’t need priests to intercede with a god who isn’t there. We have science to explain and elucidate our place in the world. 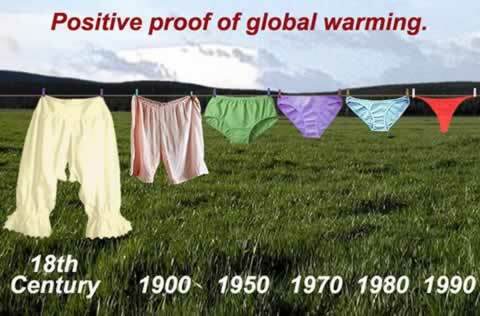 With science we can predict the future (see global warming). Vidal mentions in his preface that Julian’s last words were not, “Thou hast conquered, Galilean!” The Catholic Encyclopedia still perpetuates the myth. Old religious habits die hard. Side note: Did anyone see a correlation between the Persian Campaign and current events? I’m sure Vidal could not have predicted it. Julian lost his life while in the process of invading and attempting to conquer Persia (modern day Iraq). It happened during a skirmish with guerrilla fighters of the Persian army, who were not equipped with IEDs, but did have the technological 4th century equivalent – fire. That area of the world seems like difficult place to subjugate. No news there, eh? Too bad Bush doesn’t lead like Julian – at the front of his troops. Many thanks to the Exterminator for his conception of the idea and the nurturing of it to fruition. This entry was posted in Atheism, Books, NonBelieving Literati, Reading. Bookmark the permalink. Rodney Stark argued that Julian worsened relations between pagans and Christians in the mid-4th century because the Christians still recalled the harsh persecutions during the reign of Diocletian. As you rightly pointed out, it is wrong to interpret Julian as some beacon of reason and enlightenment vainly trying to hold back a Christian tide threatening to engulf the Empire in superstition and ignorance. Still, some of the criticisms that Julian levels against Christianity in “Agains the Galileans” are dead on target and one probably has to look to Paine’s “Age of Reason” to see such a robust public argument against Christianity. That’s more than fourteen centuries! John, good point about Vidal’s motives and strategies in writing Julian. I think you are right on target with that. He started writing shortly after the end of the McCarthy Hearings and there was still incredible fear of the “Atheist” Empire in Eastern Europe and Asia. And, yes, I certainly drew all the same Middle East parallels you did from the reading. It’s uncanny. Like I said in my essay, this book probably rings truer today than it did when first published. So, what is our target date on “Lamb”? At least I now know that there’s no rush to finish exactly on time! Maybe we should set a date, at which time you can post an essay – or any reasonable time thereafter. The Exterminator has a post up on target dates. I’m also glad that we can rely on better models for predicting events in our world. Although, I do wonder sometimes if our current administration relies on signs and wonders. I’m looking forward to reading Lamb. I ordered it today and hopefully the order isn’t lost in the ethos like was last time I ordered from AbeBooks. I can’t shill for half.com enough. I love getting good, cheap, used books from there. You wouldn’t believe how many 1st editions actually show up in my mail. Every once in awhile something gets screwed up (like Julian took 3 weeks, but he sent it from Alaska), but on the whole it works pretty good.